Chinese Philosophy - Confucianism, Daoism and Buddhism. In Chinese philosophy Confucianism, Daoism and Buddhism are the three pillars of Chinese Civilization. Daoism and Confucianism have existed as indigenous beliefs since prehistoric China (3000+ B.C.) they are the core of Chinese philosophy. 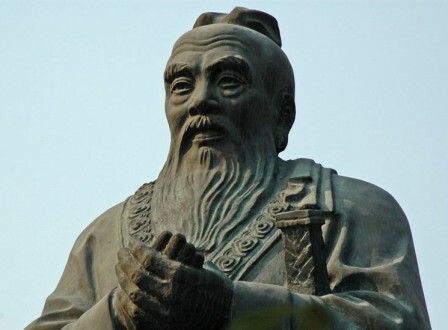 Then arise the self-transcended master Laozi, whose teachings led to the formalization of Daoism, and the great teacher of personal development Confucius, whose teachings led to the formalization of Confucianism. 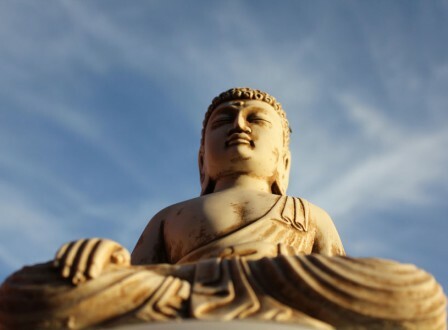 At about the same time as Laozi and Confucius, Shakyamuni Buddha arised as the great teacher of spiritual enlightenment, whose teachings came to China later in history with detailed descriptions of the reality of and beyond the mind. Since then the three schools start influencing and blending with each other, and have become inseparable parts of the Chinese Civilization today. different stages of cultivation, support each other, and lead one back to the same origin. 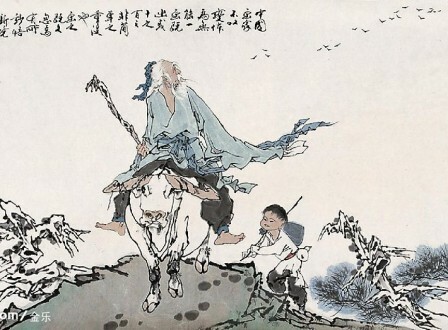 Confucius focuses on personal development and the fulfilment of worldly responsibilities, Daoist focuses on the transcendence of self through studying the nature and practicing one’s body – energy – spirit, and Buddhist focuses on the mastering and transcendence of the mind and on serving in the world after self transcendence. The three schools of Chinese philosophy have their own strong areas of teachings. By learning from all three schools, spiritual students can therefore draw wisdom from all three schools, find suitable guidance and support from them in accordance to one’s developmental stage and need, and ultimately realizing the truth that originates and prevails in all three schools of teachings. To learn more about the 3 schools of Chinese philosophy, they have been categorized into 3 different sections, you can find out more information on each of the subpages below.